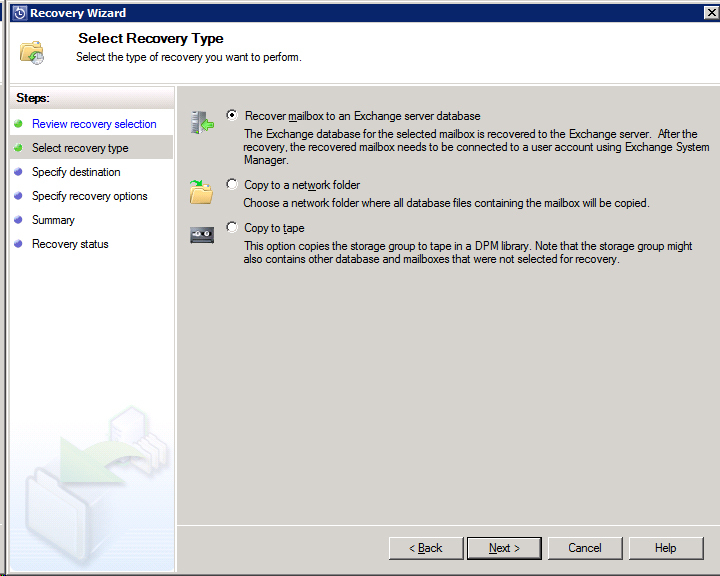 I needed to recover an Exchange 2007 mailbox using DPM 2012 recently and thought I would share with you the steps I took. 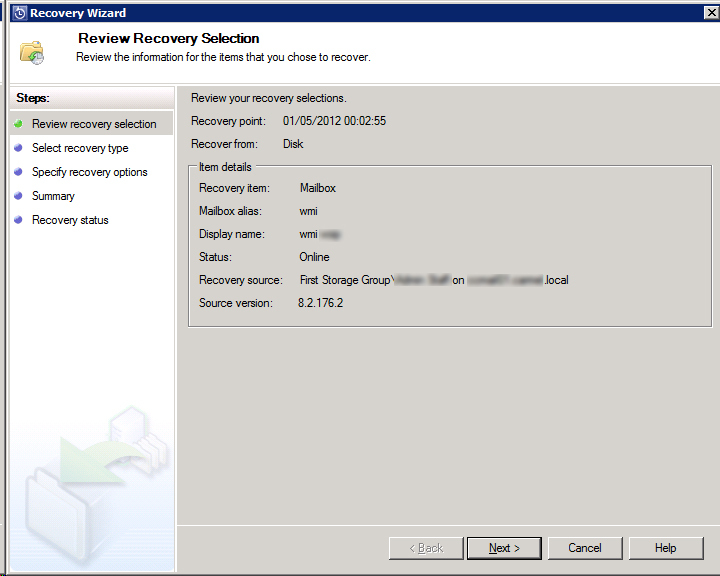 Although there have been many – very good – advances made in System Center Data Protection Manager 2012, the Exchange Item Level Recovery is still in need of some work. 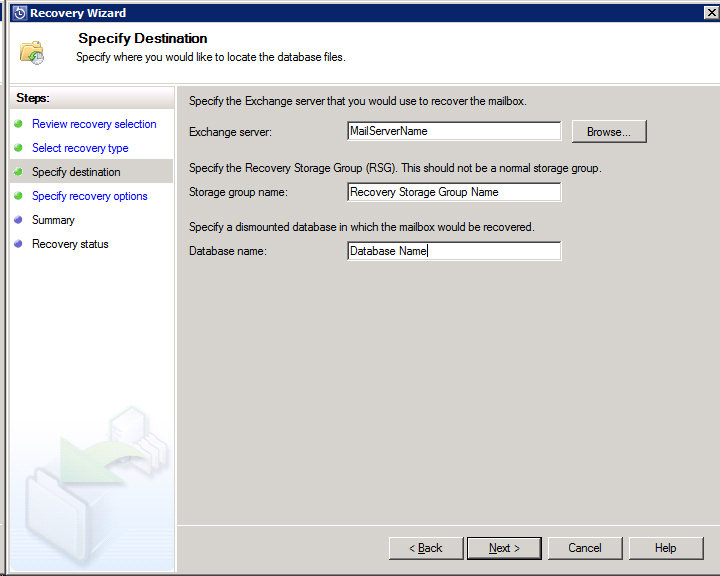 In the Recovery Pane of DPM 2012 filter your recovery items by the name of your Exchange server. 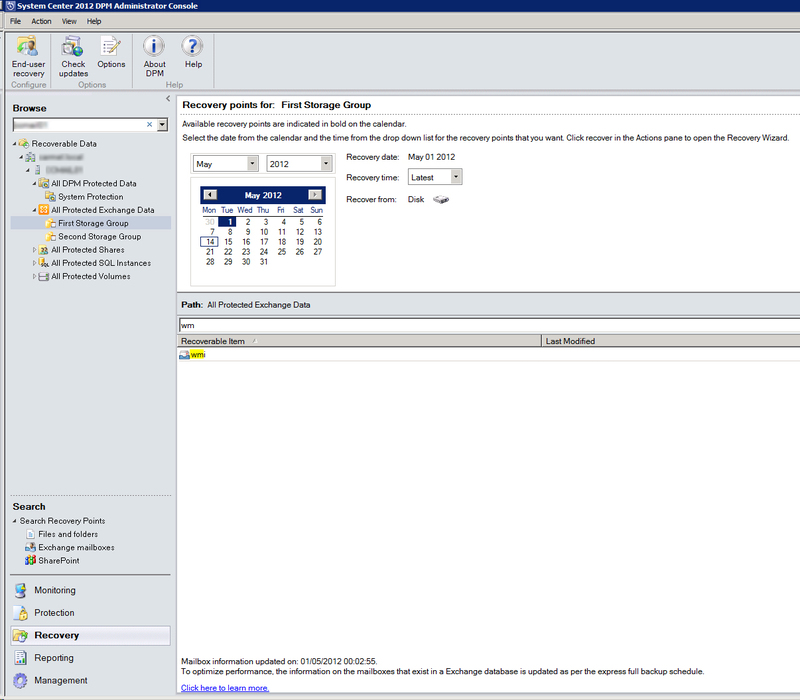 Then drill down to the relevant Storage Group and select the relevant Mailbox Database. Then type into the search box the name of the Mailbox you want to recover. Right click the Mailbox and select Recover. Select where you want to restore the Mailbox, you can restore it to a Recovery Storage Group Database or simply to a Network Folder to import the Mailbox Manually. Or you can copy it to tape for off-site archiving or transportation. 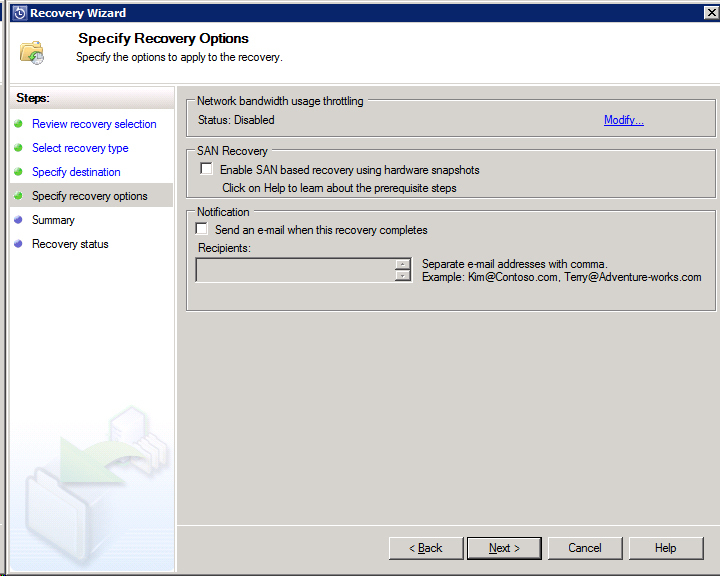 Before you can recover data on a SAN using hardware snapshots, you must have the following: A SAN where hardware snapshot functionality is enabled; a SAN with the capability to create a clone and split a clone to make it writable, and the protected computer and the DPM server connected to the same SAN. 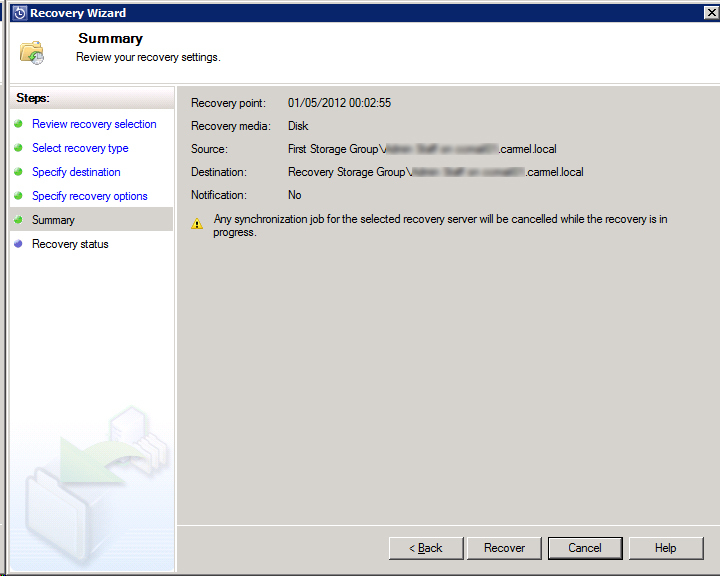 Check the Summary Information and Click Restore. You can watch the restore in real-time or go away and have a coffee and come back later, this will be dependant upon the Mailbox Database size. Once the restore has completed, check that all is well with the target mailbox and then we can discard the Recovery Database if it is no longer needed.